Following the announcement this week that the Debbie Bliss brand will only be available exclusively from a large online retailer in future, we have taken the decision to sell all of our remaining Debbie Bliss stock at half price. We are fortunate in that we have only ever stocked Debbie Bliss Falkland Aran yarn, a beautiful 100% British Falkland Merino wool that is ecologically and organically produced along with supporting patterns. 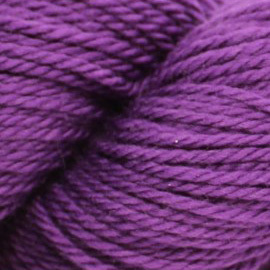 However, because we will no longer be able to source any future stock, it makes sense for us to clear space on our shelves and offer our customers a fabulous deal on a wonderful yarn. All Debbie Bliss patterns and books will also be half price but be warned, once they’re gone, they’re gone! We have enjoyed stocking Debbie Bliss Falkland Aran and are disappointed by the exclusivity deal as it now stands but we understand that we live in difficult economic times and businesses must act as they see fit in order to continue trading. We wish Debbie Bliss and her brand well for the future.